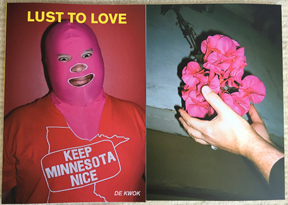 "A photozine exploring identity through masks and cover ups using friends, lovers and strangers." Jaka Babnik - Why So Serious? Lucía Peluffo - Somos uno. Somos dos.